There is a quiet revolution going on, which until now has been little recognized or commented on, never mind catalogued and celebrated as a powerful new artistic force. All around the world, in student bedrooms and artist studios, a generation is emerging with an urgent desire to be heard. Without apparent struggle or resistance, or the guidance of any predetermined path or collective identity, they are pulling down the barricades of art publishing and baring themselves. Unrestrained by the conservatism of commercial interests or the elitism of establishment tastemakers, the way these artists – singularly or collectively – print and distribute the fruits of their labours has the power to reshape the cultural and economic landscape of book publishing. Self Publish, Be Happy presents a showcase of 50 exceptional contemporary DIY photobooks, selected by Bruno Ceschel. 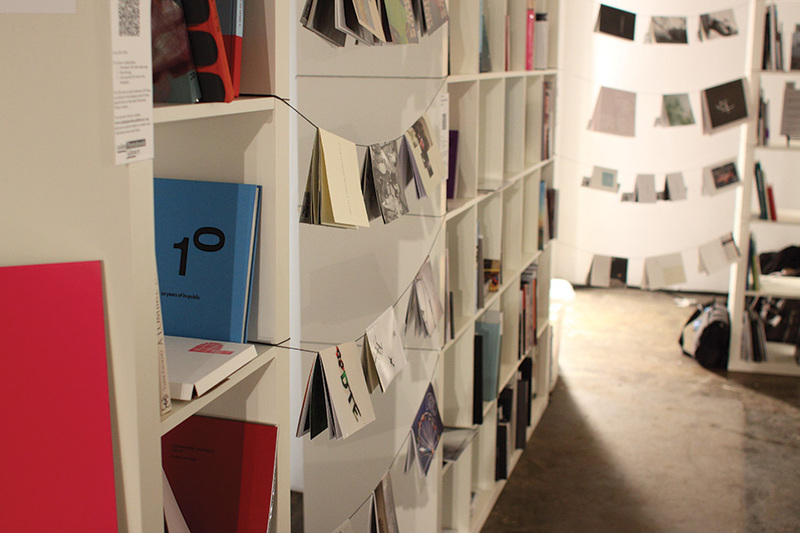 From more obscure zines to impeccably printed photobooks, Self Publish, Be Happy at Flash Forward Festival Boston offers inspiration and happiness for everybody. This reading area provides an opportunity for art book lovers to discuss, admire and buy publications originating from around the world. Self Publish, Be Happy is an organization founded by Bruno Ceschel in 2010 with the aim of celebrating and promoting self-published photobooks through events (such as fairs, exhibitions and conferences), publications and online exposure. Self Publish, Be Happy also organizes workshops that assists artists and photographers in the creation and publishing of their own books. Self Publish, Be Happy has hosted events at The Photographers’ Gallery and Whitechapel Gallery in London and is traveling Europe and North America at the moment with an itinerant exhibition.